Get up to 70% off eBooks in all genres! 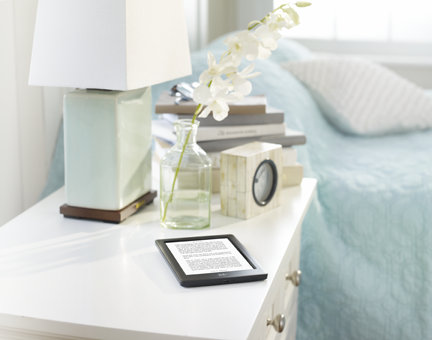 Start reading with Kobo to get this great deal! Ends June 15th! In a previous life I must have been a librarian because ever since I was a child growing up in the 1960s I've loved the feel, smell and touch of the pages of books. Actually, I can't think of another quiet activity that I still relish more today than reading a really good book. The problem is that with my hectic family and blogging life it usually takes me up to six months to get through a single hardcover or paperback book because I'm always on the go while my book sits at home unread on the nightstand. That all changed recently when I was asked to test and review the new Kobo Glo HD ($129.99), the first e-reader I've ever tried or reviewed for this blog. Now I can bring multiple books with me anywhere I go, whether I'm traveling, headed to an exotic vacation in New Zealand, driving my kids around town or simply sitting in the doctor's waiting room. As I said this is the first e-reader I've used and was not sure I'd enjoy it. In fact, eventhough I'm tech savvy and love gadgets, I have to admit I was a bit skeptical that I would like the digital experience as much as turning the pages of an old-fashioned good book. Setting up the Kobo Glo HD was a breeze. After charging it by plugging the USB cable into my computer, I connected to WiFi and entered the date and time into the device. After automatically downloading the Kobo updates I was then prompted to create an account and select a password. Then the fun began. I scrolled through the various titles for sale and downloaded the two top books on my to read list: The Book of Joan, the biography of Joan Rivers by daughter Melissa Rivers and the novel Beachtown by Mary Kay Andrews. 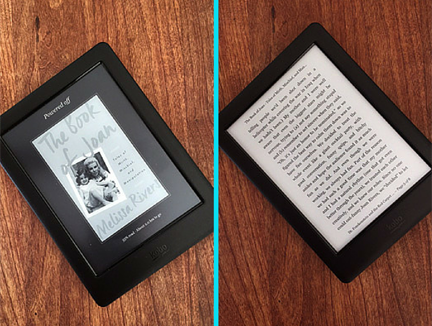 I love the look and feel of the easy-to-use Kobo Glo HD. The 1448 x 1,072 pixel resolution 6" HD Carta E Ink touchscreen is crystal clear and is easy to hold in one hand and I like that it includes a fully adjustable ComfortLight so I can change the lighting whether I'm reading in bed, outside in the backyard or on a bench at the park under a shady tree. Another plus is that the device has a battery life of up to 2 months and you can store as many as 3,000 eBooks and carry your entire library with you. What's more is, because this is the most open eReader on the market today I have the flexibility to change the font type, size and margins to suit my personal reading preferences. And to top it all off if I happen to forget my eReader I can pick up where I left off in the book I'm reading on a multitude of other devices thanks to the Kobo App which is available on iOS, Android, Blackberry 10, Windows 8 or Windows 8 Phone or Desktop Computer. Long story short is I'm so glad I rose to the challenge to replace reading print books with a Kobo Glo HD. In just 7 days I'm already 50% of the way through The Book of Joan, more reading than I think I've done from a traditional book in the past 3 months. Being able to read anytime, anywhere now is a real luxury and I can't imagine ever being without this new fabulous gadget. Based in Canada, Kobo is a small company manufacturing a wide range of eReaders, offering something for just about every type of reader. 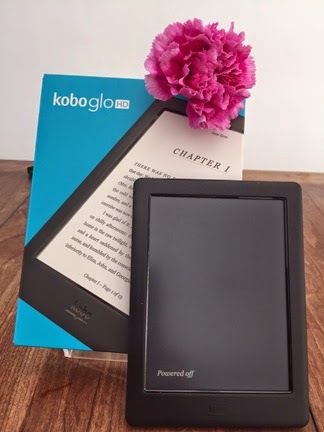 Learn more about the Kobo Glo HD and the other Kobo eReader devices offered, as well as check out the huge selection of Kobo eBooks and eMagazines available to download by visiting the official site and also following the brand on Facebook, Twitter, Pinterest and Instagram. *Discount code is valid for 35% off select eBook purchases from this page and select lists. Discount will be confirmed at checkout. Offer valid until June 30, 2015 at 11:59 EST. This offer is not valid in conjunction with any other offer or promotion and cannot be used to adjust amount paid on previous purchases. Discount code must be entered at time of purchase to qualify for this discount. Discounts cannot be applied nor the discount value refunded once a purchase is complete. Rakuten Kobo Inc. reserves the right to change or cancel this offer any any time without notice. FTC Disclosure: I am part of the PTPA Brand Ambassador Program with Kobo and I am receiving compensation in association with this review and the Kobo Giftcard Giveaway as part of my affiliation with this group. The opinions on this blog are my own. See complete FTC Disclosure information that appears at the bottom of MommyBlogExpert's main page and at the bottom of every individual post on this blog, including this one.